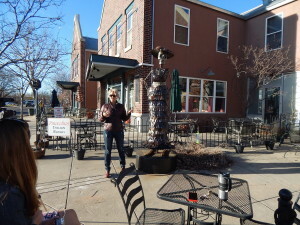 I was accepted into the City of Lafayette’s public art program called “Art on the Street”. This art program is the largest art on loan program in Boulder County. Sixteen sculptures are selected for a period of one year to be on display and each sculpture is eligible for a People’s Choice award. My “Lady in Waiting” Catrina sculpture was one of the sixteen selected sculptures for this years installation. 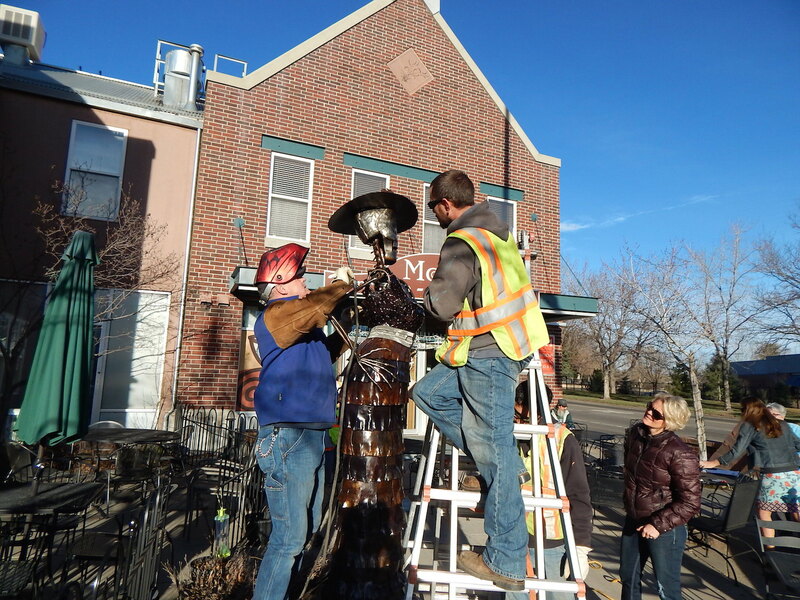 She is installed on the corner of Main St and Baseline Rd, in front of a local coffee shop and will remain there until March 2016. 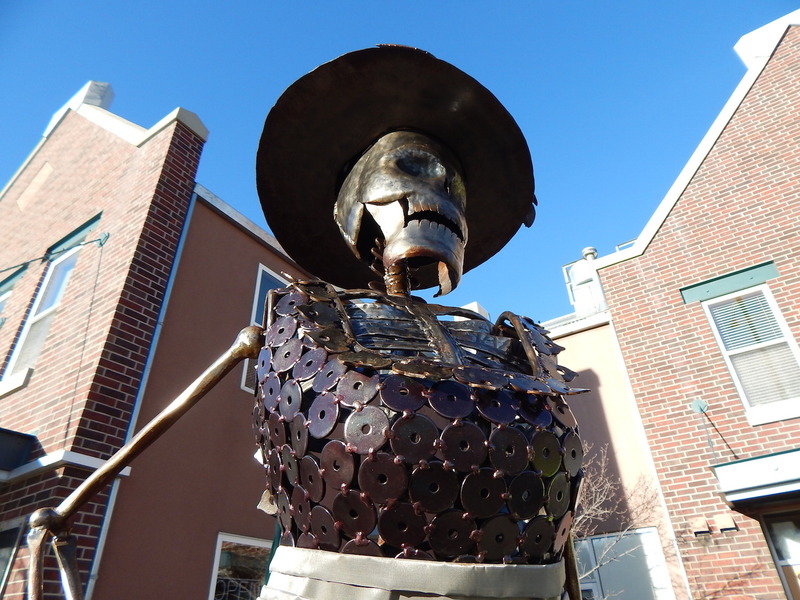 The City of Lafayette asks the public to submit their poems and 2-D art that is inspired from the current public art sculptures. More information about the “See and Respond – Call for Artist” is here.